The nPerf study is based on the tens of thousands of tests carried out each month exclusively by the operators’ end customers, making it the “crowdsourcing” study with the largest panel in Indonesia. 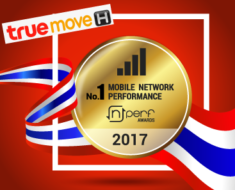 Award of the best mobile Internet performance in 2017 : Telkomsel provided the best mobile Internet services in the year 2017. * Telkomsel has provided the best average download speed and upload speed during the year 2017. * BOLT! provided the best average latency during the year 2017. * During the year 2017, Telkomsel proposed the best performance in Internet browsing. * BOLT! has proposed the best rate of performance in video streaming during the year 2017. * BOLT! got the best 4G connection rate for the year 2017. Between January 1, 2017 and December 31, 2017, we counted 686.157 tests. 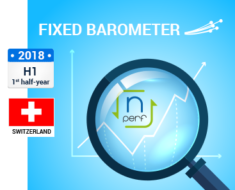 nPerf offers a free application for testing the quality of the Internet connection, downloadable on Android, iOS (Apple) and Windows Phone mobile devices. Everyone is free to use this app to measure the quality of their mobile connection. All users of the nPerf application from the panel of this study. Who provides the best fixed Internet in Thailand?